It isn’t every day that we get to set up R+D courses for big, class 4 and 5 work trucks, but with last week’s launch of the new 2019 Navistar International CV truck line, Gordinier Group got to do just that. 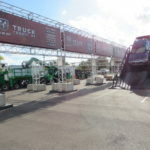 Navistar is on the leading edge of medium-heavy duty truck manufacturers who use experiential marketing as a sales tool. 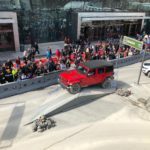 In this case, dealers and media guests were invited to a CV immersion, part of which involved them getting behind the wheel of the new trucks. 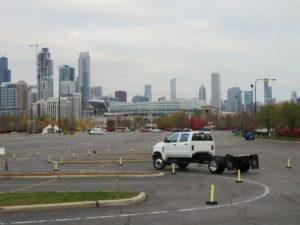 Nestled in a large asphalt space between Soldier Field and McCormick Place on scenic Lake Michigan, we put together 2 courses with the guidance of Navistar engineers who had specific attributes that they wanted to show in their new truck line. 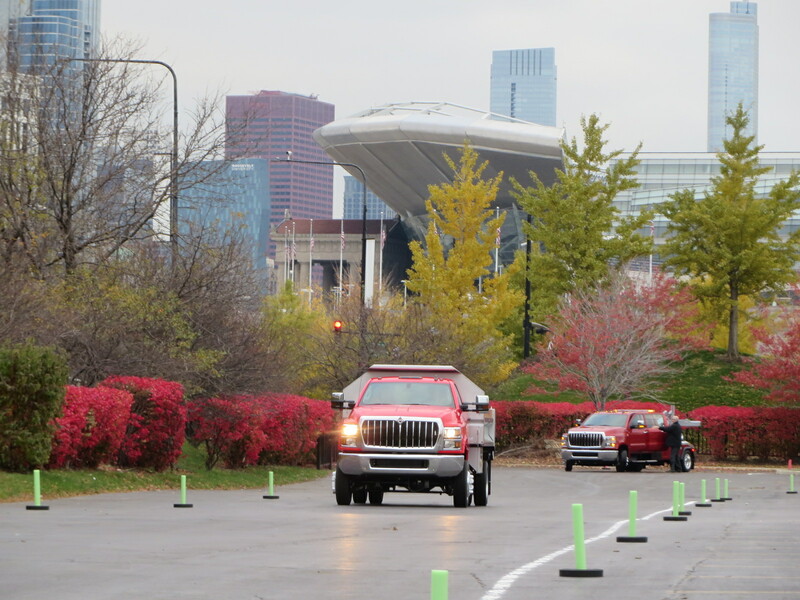 The event was very well attended – especially considering the cold windy conditions typical of November in Chicago. 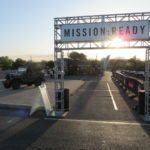 Another great partner activation with the George P Johnson Company that was delivered flawlessly and on brand! 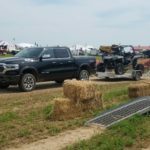 Sunbelt Ag Expo was the final stop on a successful summer farm show season for Ram Truck and Gordinier Group. 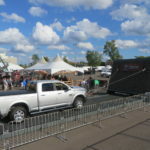 Ag shows are a great way for Ram to take a more grassroots approach to experiential marketing. 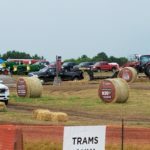 In contrast to Ram’s auto show ride and drive activations, the guest interactions are longer and more personal at farm shows. 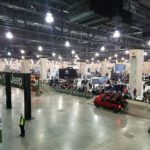 While Gordinier Group drivers can’t churn through the staggering numbers of people like at an auto show, it is nice to shift gears and have an opportunity to form more of a bond with the heavy truck-biased demographic and be able to spend more time addressing their questions and concerns. It really feels like the trade-off is worth it. 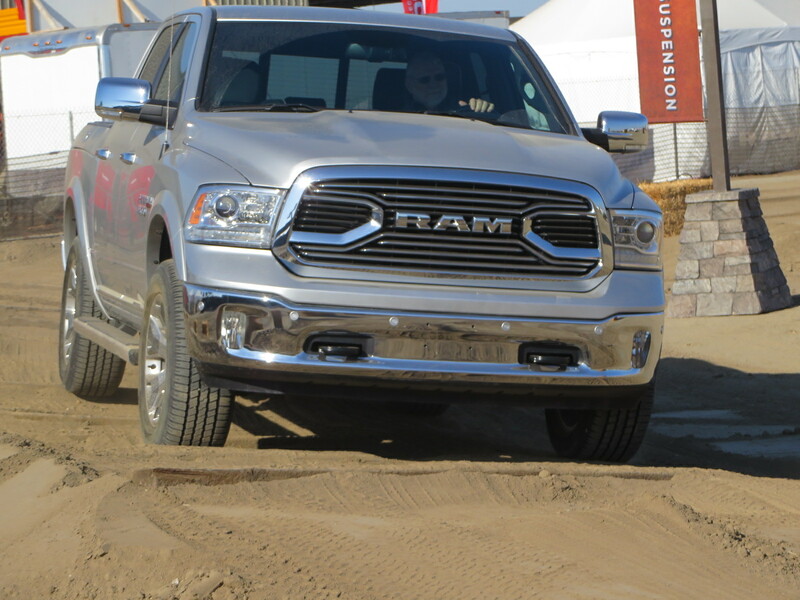 The Ram program consists of in interior off-road track surrounded by a perimeter towing track. 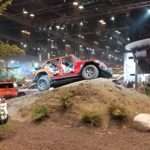 This allows the team to give guests two different experiences – a ride along over the technical off-road features, piloted by Gordinier Group drivers. 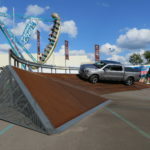 Similar to the auto show model, drivers give product specs and explain what the truck is showing on each obstacle. 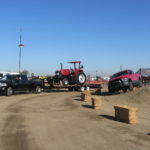 On the tow track, guests drive and tow the load while GG personnel ride shotgun, answering questions and giving pointers while the guests actually feel the truck’s power and towing capability first hand. With this model, the consumer experience is genuine and very informative. We are looking forward to getting back to the fields in 2019! 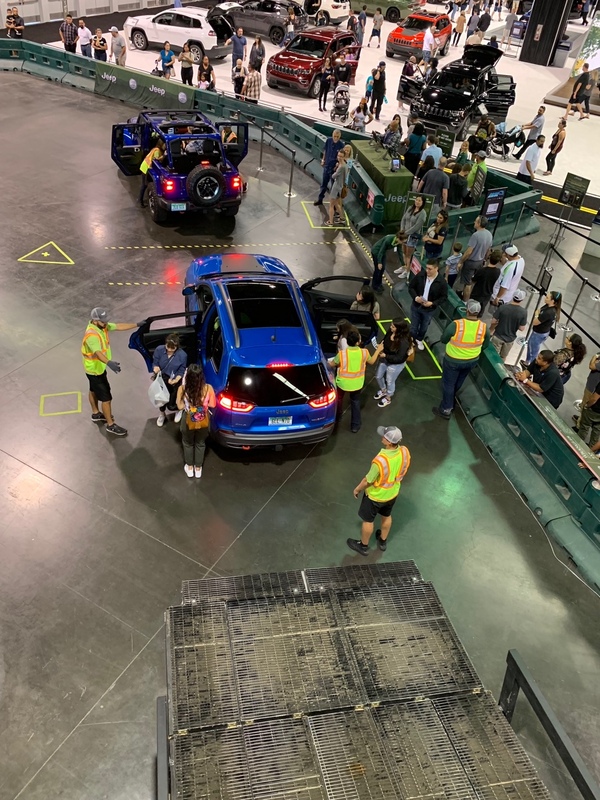 Gordinier Group drivers traveled to Anaheim, California to kick off the 2018 fall auto show season at the Orange County International Auto Show. Despite to warm, sunny Socal weather, Camp Jeep brought in record numbers this year! 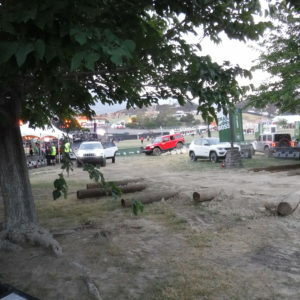 We had long lines at the Jeep track from bell-to-bell all four days and were able to leave great impressions on thousands of interested guests. We were back inside the Anaheim Convention Center this year, right where all of the action is. While most of the experiential ride and drive events are located outside, Camp Jeep typically runs the proverbial table inside and this year was no different. 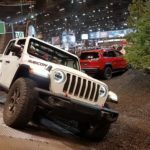 With the redesigned 2018 Wrangler Rubicon in the rotation, guests can’t seem to resist giving the simulated off-road course a go. 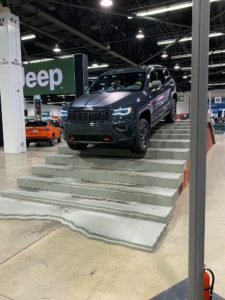 Also on tap at this years OCIAS were the new 2019 Cherokee Trailhawk and Compass Trailhawk, as well as 2018 Grand Cherokee and Renegade Trailhawk models. 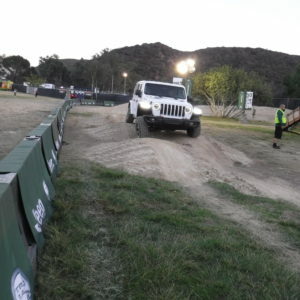 The course featured the 18′ Jeep Mobile Mountain, Trail-Rated Pass, Breakover, Stairs and Sidehill Wedge properties. 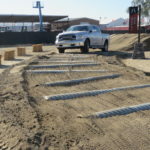 These obstacles gave guests a 5-minute thrill ride while they learned about each vehicle’s specs and what makes them best-in-class on and off of the road. 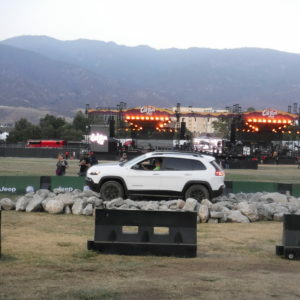 Camp Jeep piggybacked onto Cal Jam, a giant, Jeep-sponsored music festival in San Bernadino, CA. With headliner Foo Fighters (and featuring other huge acts such as Iggy Pop and Tenacious D), we knew that we would have the perfect audience/demographic to deliver an authentic, on-brand experience to. 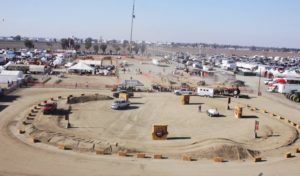 Given the gorgeous mountain backdrop of Glen Helen Raceway Park, it made sense for this Jeep off-road course to be built from mostly organic materials. 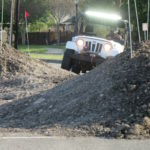 We supplemented the Jeep mobile mountain with formed dirt articulation mounds, berms, off-camber tilts, a side-hill wedge, and a boulder pile. Building organic off-road tracks is one of Gordinier Group’s core competencies and this course didn’t disappoint. 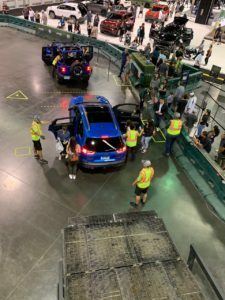 Both days of the festival saw guests lining up in droves to experience rides in the new 2018 Jeep Wrangler Rubicon as well as the new 2019 Jeep Cherokee Trailhawk and the new Jeep Compass Trailhawk. Gordinier Group pro drivers were behind the wheel, navigating the new Jeep vehicles through the extreme obstacles while delivering product info along the way. Feedback from the guests was great at this event. 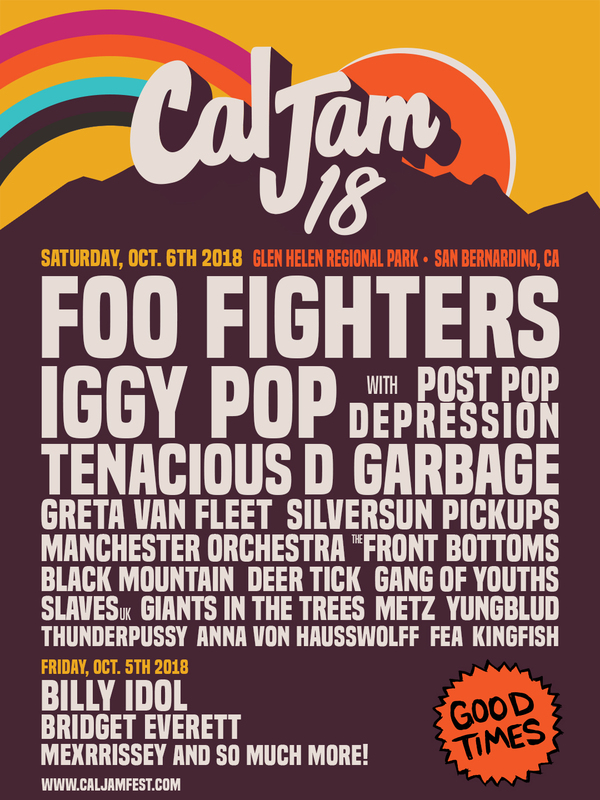 Hats off to the Jeep and FCA for continuing to sniff out big events with just the right mix of interested guests. 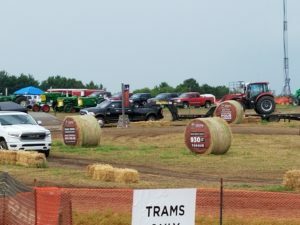 Ram Truck was the title sponsor of the 2018 Michigan State Fair. 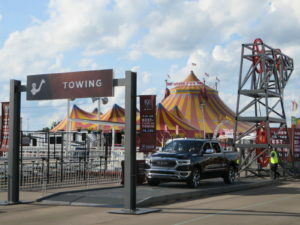 With Ram Headquarters only 30 miles away, what better opportunity to roll out the red carpet and bring a great experience to the local venue to show off the all-new 2019 Ram 1500. 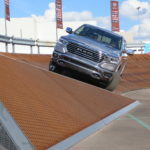 Ram went big at the MSF, bringing the Ram Truck Territory properties, including the 18′ mountain, Power Tower Towing Demo, Giant Berm, Ram Torque Wall, and a demo area to show off Ram 1500 load leveling, adjustable ride height, full surround cameras, and parallel park assist features. 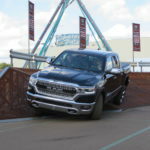 With all of the amazing safety, comfort and performance features on the new half-ton truck, it was difficult for Gordinier Group Pro Drivers to present all of that info to guests in a short period of time. This truck really is packed with exciting new technology and the overall ride is amazing! Our job of showing off these new trucks has become easy – so many great things to talk about! 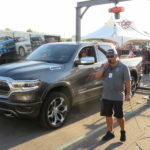 While the weather at the state fair was hot, the Ram Truck Territory was never short of guests interested in learning about and riding in the new trucks. 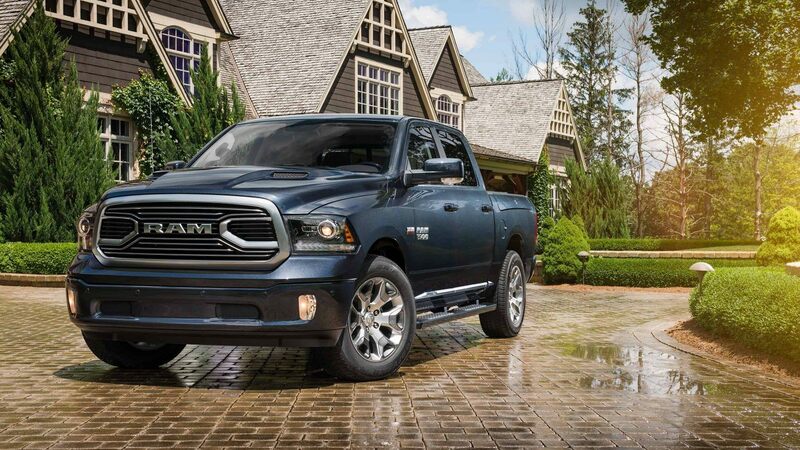 A great home game for Ram Trucks! 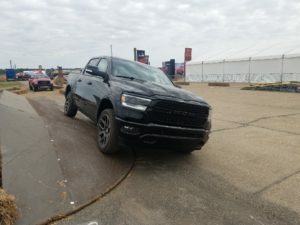 Guests of the 2018 Wisconsin Farm Tech Days were some of the first to get a chance to drive Ram’s all-new 2019MY 1500 trucks. With an interior that most (if not all) luxury brands will be jealous of, the new Ram was a huge hit. All show vehicles were equipped with premium trim levels (Laramie Longhorn, Limited, Limited Tungsten). The whole lineup, including HD 2500 and 3500, were available at this show. 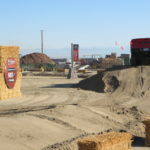 Guests were given a choice of riding on an extreme off-road course (piloted by Gordinier Group pro drivers) or driving a truck and trailer rig around a perimeter towing track. 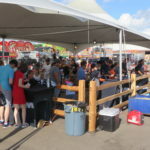 Attendees are encouraged to participate in both experiences and many do. 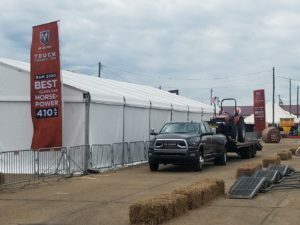 Both the off-road and towing courses enjoyed great foot traffic and we ere visited by many farmers who were very enthusiastic about the new product as well as the new refresh on the horizon for the Ram HD trucks. 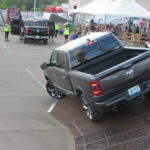 Even a few die-hard Chevy and Ford owners were taking a hard look at the new half-ton offering. You know that if those folks are giving it a second look, Ram is really on to something with this truck! 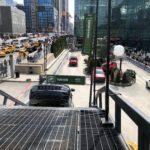 The unofficial auto show season finale kicked off in NYC a bit earlier this year than the norm. 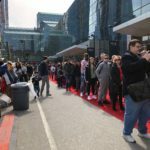 With the earlier show start this year came our most challenging NYIAS weather to date. 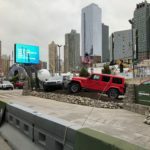 Throughout the 10 outdoor activation days in Manhattan, the team experienced rain, sleet, ice, wind and even a couple of substantial snow storms. 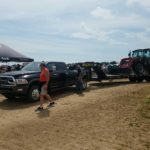 Despite the often poor weather conditions this year, you can never count out the swarms of diehard New Yorkers who once again came out in record numbers to ride on the show-favorite Jeep Off-Road Course! 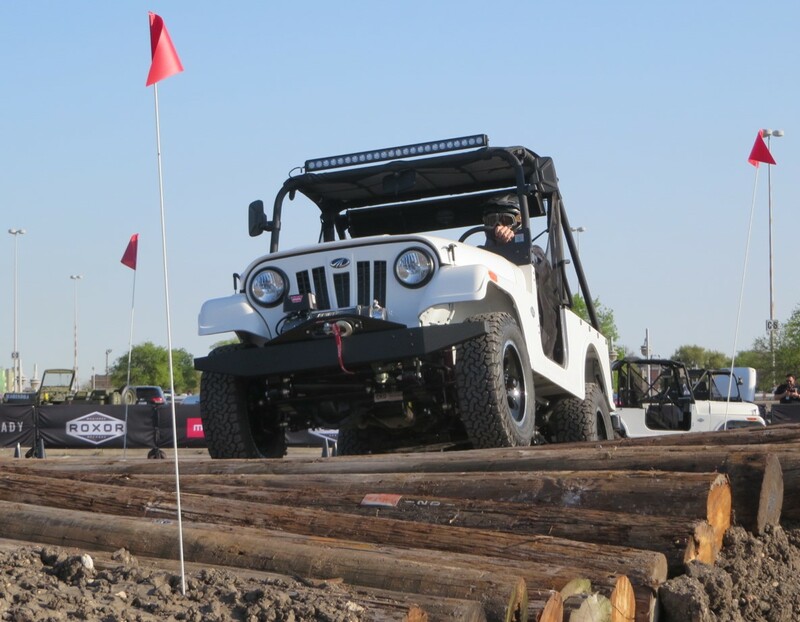 This year’s course showcased the all-new 2018 Wrangler Rubicon, along with off-road family members: Grand Cherokee Trailhawk, Cherokee Trailhawk, Compass Trailhawk, ad Renegade Trailhawk. All of these uber capable off-roaders handled the rigors of this course with ease, despite the challenging conditions. 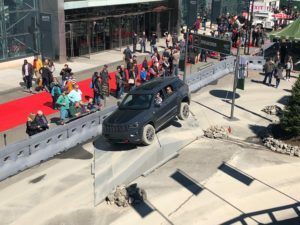 The greater Denver area was also treated to the Camp Jeep experience while the NYIAS event was running. 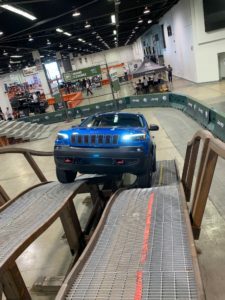 The Mile-High City experienced more favorable weather, although it’s Camp Jeep track was housed indoors at the Denver Convention Center. 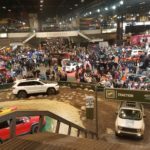 As the excitement of the 2018 auto show season is now in the rearview mirror, Gordinier Group is already looking forward to summer programs on the horizon! 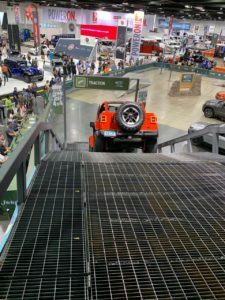 The brand new Mahindra Roxor was introduced to the media and dealers over a 3-day event at the San Antonio AlamoDome, and the Gordinier Group was there to build and operate the off-road course. If you aren’t familiar with Mahindra, they are an enormous ($19B), Indian company, who produces a large line of vehicles overseas as well as owning a large segment of big agriculture equipment abroad and in the US. The new Roxor will create a segment all its own – something between a side-by-side and a Jeep Wrangler. At first glance, the vehicle obviously has Wrangler visual cues (Mahindra has maintained license from Willy’s since the 1940’s to build this vehicle), but with its 2.5L turbo diesel motor, manual transmission and leaf-sprung suspension (and the fact that it’s not street legal in the US), the similarities end there. 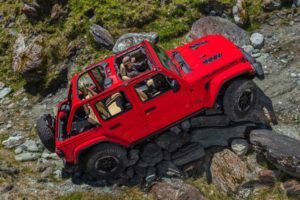 What it is, is a super fun and very capable off-road only vehicle that feels very durable, well-made, and appears to be able to chug through the ugliest of trails with ease (as well as being able to tow 3,490 lbs). 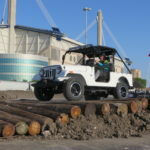 It seems perfect for ranch or farm use and it would be great fun on difficult off-road trails such as Rubicon and Moab. You can read more about the Roxor below. 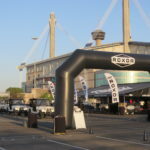 Dealers and media outlets converged in San Antonio, eager to learn about the Roxor and excited to get behind the wheel. 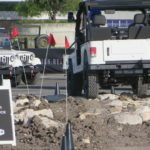 GG operators built a course in the AlamoDome parking lot that both challenged the vehicle and driver, but was still able to throughput the several hundred amped dealers. As an added challenge for the course design, all Roxor test drive units had manual transmissions (as well as 2-speed transfer cases). This can sometimes be tricky when the public is driving. 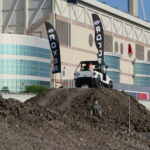 Luckily, the Roxor had so much low-end torque, it was easy for novice manual drivers to crawl over the boulder pile, log tilt, side hill, and other steep obstacles created for this unique test drive. 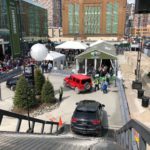 The bar has been raised as the Camp Jeep daily participation record has been toppled once again, as we opened to a huge crowd of guests at the 2018 Chicago Auto Show – Camp Jeep’s Superbowl event. In fact, the previous record was topped 3 times over the 2-week span of the show. This along with the display winning the “Best in Show” award (and the Wrangler winning the most desired new production vehicle), proves that Chicago loves the Jeep brand and Camp Jeep. 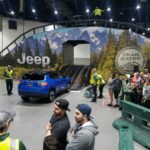 To add the icing on the cake, the Camp Jeep auto show model has recently reached a huge milestone as we drove our 2 millionth guest since the program began in 2004. What an amazing statistic! 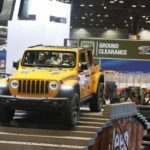 The Gordinier Group driving team brought their A-game to the windy city this year, knowing that the huge Chicago crowds were going to be eager to experience the newly redesigned 2018 Wrangler Rubicon. 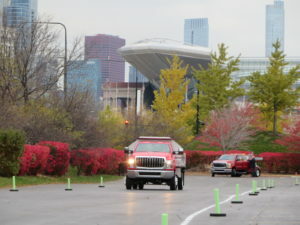 The Chicago enthusiasts didn’t disappoint, running to the track each morning and patiently waiting for their trip around arguably the best indoor off-road track in existence. Thank you Chicago for another great show! 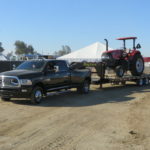 Ram Trucks had a lot to offer guests of the World’s Largest Agriculture Show, in Tulare, California. 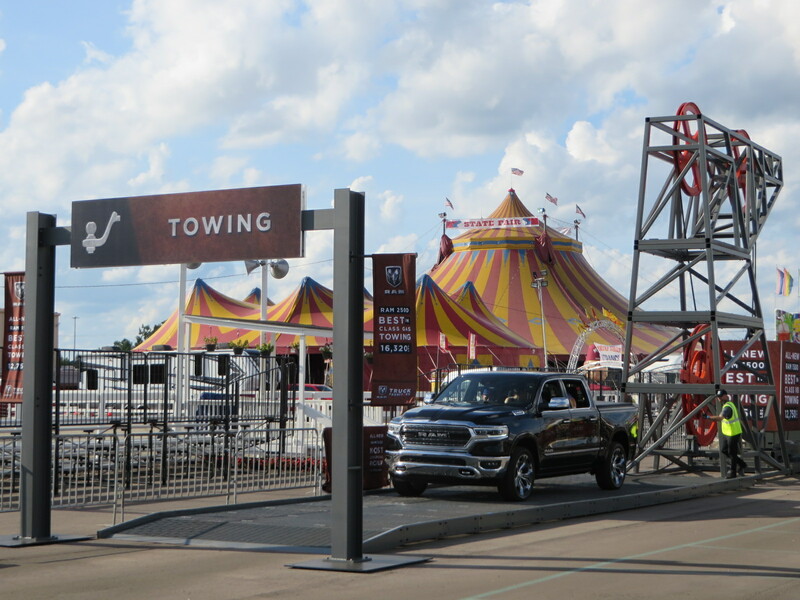 Not only did Ram bring two of the new 2019 1500 DT models for display, but they also offered 2 experiential opportunities – an off-road ride and a towing drive where guests could get behind the wheel to really feel Ram’s towing capabilities. 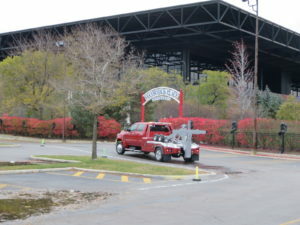 In fact, the headliner of the tow fleet at World Ag Show was a 3500 Limited dually, with the 6.7 Cummins turbo diesel and max tow package. It’s hard to imagine a more capable tow rig. This one was saddled with a Big Tex gooseneck trailer that held a 15,000 lb Case tractor. 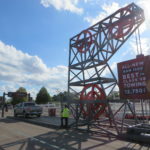 That sounds like a lot of weight when you factor in the extra weight of the trailer, but with a maximum towing capacity of over 30,000 lbs (and 930 lb. ft. of torque), it was an easy haul. 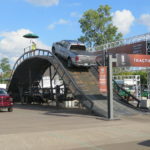 Many guests were shocked at how easily that truck was able to tow that payload and how comfortable it felt doing it. 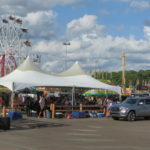 This year’s show had great weather many interested and enthusiastic farmers, making it a great event for Ram! 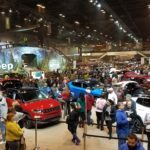 The Camp Jeep auto show season is off to a hot start and continues to pick up momentum in 2018. With the turn of the New Year, San Diego AS was the season opener. 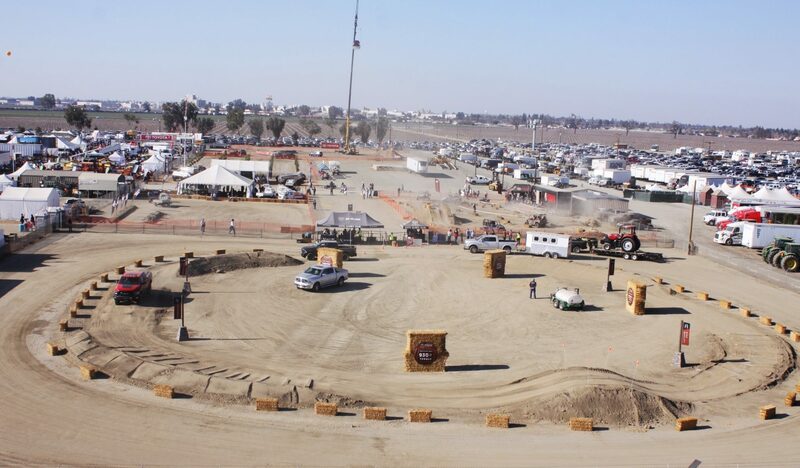 We had great attendance in SoCal, and nobody complained about the weather, either. 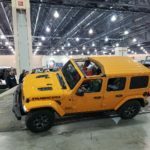 The Houston and Philadelphia shows ran concurrently, and both shows were lucky enough to debut the all-new 2018 Wrangler Rubicon. This was the first time that the public was able to experience the long-awaited new JL platform, and everyone at both locations loved it. 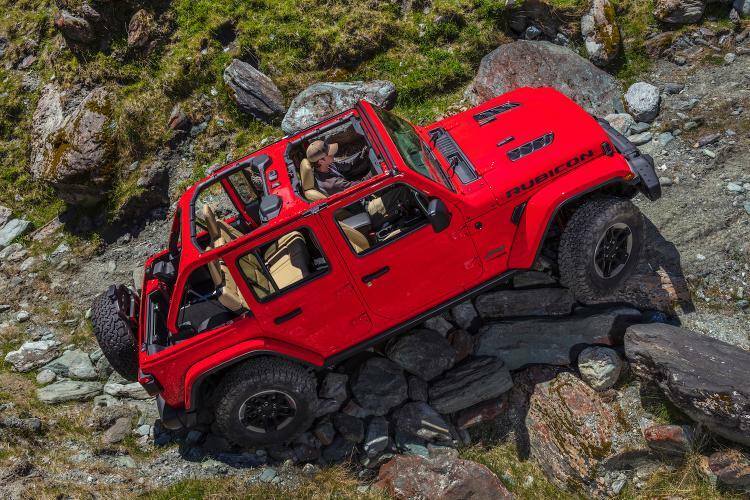 From the totally redesigned luxury interior to the many aesthetic and functional improvements on the exterior and powertrain, it was clear that Jeep fans were impressed. The new beast ate up the extreme off-road course and we look forward to logging many more miles behind the wheel of the new Rubi. Camp Jeep continues to trend upwards, as we logged yet another record-breaking attendant count in Philadelphia. 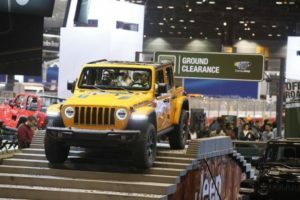 These 3 shows were a great warmup for the upcoming Chicago Auto Show – the premier Camp Jeep event of the year. 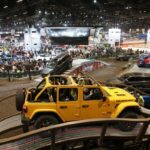 If the first impressions of the new Wrangler were an indication of the excitement that Jeep fans have for this vehicle, Gordinier Group drivers will have their hands full with the huge numbers that we will see in the windy city. We are looking forward to the challenge!